Adventure with Jet Ski Safaris on our 1.5hr Safari as we head North for a good 20 km, weaving our way up past beautiful Islands, beaches sandbars and through mangroves. 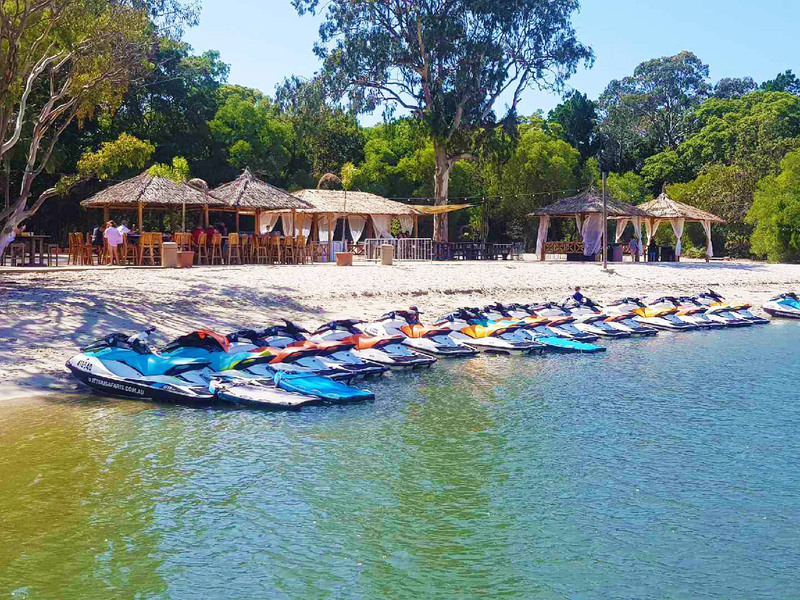 We then stop at the beautiful Couran Cove resort or Tipplers Cafe on South Stradbroke Island. Where we throw in some extra time so that you can enjoy a delicious buffet breakfast freshly prepared or a nice swim or wildlife spotting before turning back to ride the 20 km home. The delicious buffet breakfast is from $20.00 per person. We will be running the Breakfast Safari usually starts between 6 – 7am. Please call the office or book the first session available on line for exact timings.